CHILDREN’S RIGHTS ORGANISATIONS this week highlighted a number of measures for government ministers which they believe would help pull some 139,000 children in this country out of poverty. Children in one parent families are particularly at risk – they are 3.5 times more likely to be poor than children in two parent families. 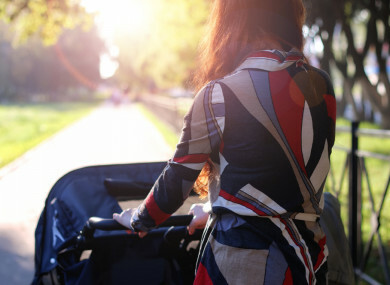 One Family, an organisation which works with one parent families, said this week that the government needs to ease the pressure on single parents. Mairead, a now 36-year-old mother of one, had managed a clothing store which closed down in 2008. As she had worked there for less than two years, she was entitled only to statutory redundancy. While searching for a new job, she signed on for unemployment assistance. A few weeks after her employment ended, she realised she was pregnant. She and her boyfriend of six months had already separated as he, having lost his own job in the building trade months earlier, had plans underway to emigrate to Australia. Hearing of Mairead’s pregnancy did not change these plans, but they remained on good terms. He promised to offer financial and emotional support, and said that he would most likely return to Ireland soon after the baby’s birth. However, within weeks of his leaving, he stopped calling or emailing Mairead. He never acknowledged the news of his son’s birth. Jamie is now nine years of age. Mairead has tried to connect with his father a number of times over the years but without success. In 2015, Mairead was working part-time in the retail sector, with child-minding support from her own parents in their home. She was starting to save and had started making plans to get back to full-time employment. She was moved off the One Parent Family Payment as Jamie turned seven, and, as she had a sympathetic employer and her parents’ help, she was able to take an additional three hours of work per week so that could meet the requirements for Family Income Support (FIS). Even with this support from her parents and employer, following the transition, Mairead’s income was reduced by almost €40 per week. When her mother became seriously ill, Mairead’s parents were no longer able to help with childcare support. She could not access affordable childcare in her area and, after weeks of trying to continue working while paying afterschool costs and the additional travel expenses accessing it entailed, she was forced to give up her job. She is now in receipt of Job Seeker’s Transitional Payment (JST). Mairead manages on a budget that leaves no space for error, not even a coffee or a magazine. After paying for rent, electricity, gas, food, school costs, etc., Mairead is usually left with about €15 per week. She does not have a TV licence as she cannot manage to get the money together for it, which causes her great stress and means that she never answers her doorbell when it rings. Her clothes are from charity shops. She puts everything she can into Jamie’s food and clothes, and an occasional social outing for him to enjoy, like the cinema. When her washing machine broke down a few months ago, she washed her and Jamie’s clothes by hands in the bath for weeks, until eventually admitting it to her dad who was able to take out a credit union loan on her behalf so that she could replace it. She had not wanted to tell him and cause him additional worry, as her mother’s health is further deteriorated and he now cares full-time for her. He is paying half of the loan repayment, they each pay €10 per week. Jamie is going into fourth class in September. Already Mairead is anxious about school costs. She is especially worried about how she will be able to afford a waterproof coat for Jamie for winter, and his football boots. He is growing out of everything now, it seems, within weeks. Mairead used to manage a large shop with twelve employees, including order management and salaries, and has excellent literacy and computer skills, yet in her local social protection office, she was advised to do a computer course. Mairead has no resources left. Her focus is only on creating a good and happy life for her son. She would like to be working. She wants not to have to hide when the doorbell rings. She would like be able to treat herself and Jamie to a day out, for him to be able to get that football shirt of his favourite team, or even to treat herself to a coffee and a magazine now and then. Most of all, Mairead wants to be back working because she knows she is her son’s role model. Having to give up her job following the reform of the One Parent Family Payment has used up all of Mairead’s resources. She has nothing left and finds it hard now to imagine any way of life that is more than week-to-week survival. In a briefing on Thursday, One Family’s CEO Karen Kiernan said there are a number of changes the government could make that would give parents like Mairead some breathing space with their weekly budgets and ultimately improve the standards of living of children like Jamie. Increasing the earnings disregard for the One Parent Family Payment, Jobseekers Transition and for lone parents in receipt of Jobseekers Allowance to €146.50 per week so lone parents can more easily take up employment. Alleviate back to school costs for parents by allocating €40 million to provide free school books at primary and post-primary level. Restore the Bank to School allowance to the 2011 level of €305 for children over 12 and €200 for younger children. Email “'Left with €15 after bills': The week-to-week struggle of a single parent in Ireland”. Feedback on “'Left with €15 after bills': The week-to-week struggle of a single parent in Ireland”.